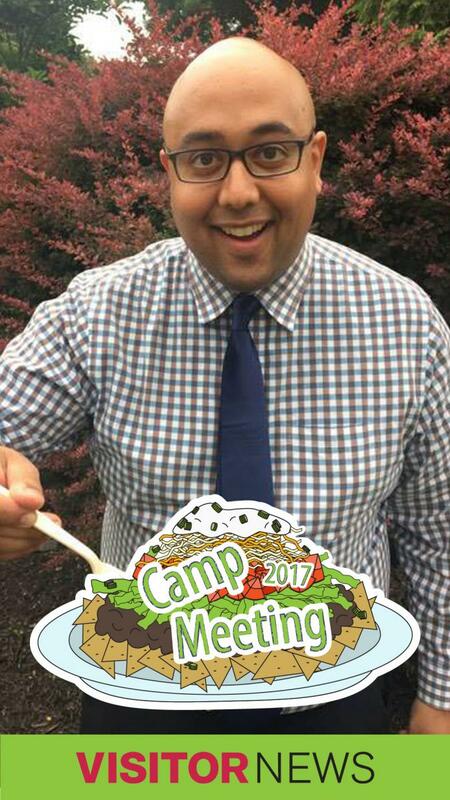 Seeking more ways to engage members on social media, the Columbia Union Visitor staff recently created a Snapchat filter that will be available on Sabbath at the remaining summer 2017 camp meetings in the Columbia Union Conference. "I decided to include and make a haystack the main icon because it’s the quintessential Adventist food," says Visitor summer design intern, Kylie Kajiura, who says that beans/chili is the most important part of haystacks. "I don’t think I’ve ever been to a major Adventist event and not had a haystack. Everyone knows what a haystack is and everyone can relate to it." Visitor staff members hope the filter will "help members share and remember their camp meeting memories," says V. Michelle Bernard, Visitor online editor. "Maybe it will even help show some of their friends that church activities can be fun!" Use it to help share your camp meeting memories!